When the thermometer reads “too hot for hiking” in the desert, the Emerald Pools Loop gives you a wonderful option to escape the heat. 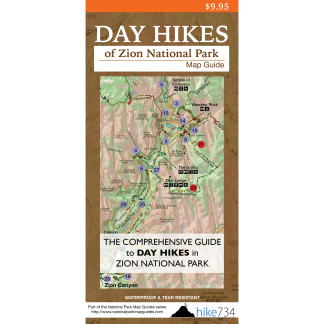 With limited elevation gain, three pools, high canyon walls, and shade, it’s no wonder it’s a popular trail. The Emerald Pools Loop can be started at either the Zion Lodge via the Lower Emerald Pool Trail or at the Grotto via the Kayenta Trail. Continue along the trail to the Upper Emerald Pool. As you continue to the upper pool, the towering cliffs get closer and look more and more impressive. 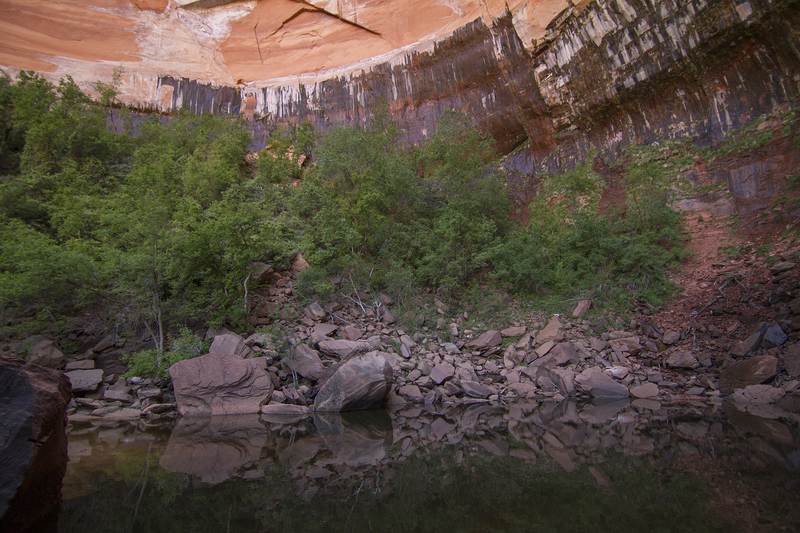 The trail turns and drops down into an alcove with the Upper Emerald Pool tucked beneath sheer cliffs. Photos come easy, and the large rocks are great places to stop for a snack in the cool of the shade. Often, frogs provide entertainment in the upper pool as their sound bounces off the walls. During spring or immediately after rain, a 300 foot waterfall cascades out of Heaps Canyon down to the Upper Emerald Pool. Return back to the trail junction and head down to the Lower Emerald Pool. The overhang is impressive and water from above falls over your head as you traverse under. Depending upon the season and current weather conditions, this can be a trickle or a torrent. Continue around the quaint pool and down the level path across the Virgin River on a footbridge to the Zion Lodge. To complete the loop on foot, follow the Grotto Trail, located behind the bus stop, for a little over a half-mile to take you back to the Grotto. Otherwise, hop on a bus and continue exploring the canyon! Note that all of the Emerald Pools and the creek that connects them are closed to swimming, wading, or bathing. Also, any sort of climbing up or down in the creeks or waterfalls that feed or connect these pools is prohibited.